Judge Roy Bean, a self-appointed hanging judge in Vinegarroon, Texas, befriends saddle tramp Cole Harden, who opposes Bean's policy against homesteaders. Sugar: Hey, you don't suppose she married him for his money, do you? Sugar: Well, he got a job, ain't he? Buzz: Yeah, I never thought of that. 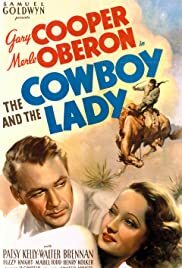 The Cowboy and the Lady will never be listed among the top features of either Gary Cooper and Merle Oberon's careers, but it has a unique place in Hollywood lore. Supposedly producer Sam Goldwyn came up with this title and then set about hiring the creative title to fashion a story and then a film from it. Not the usual way the creative process flows even in Tinseltown. Merle is yet another rich girl who's bored living in her mansion because politically minded dad, Henry Kolker who's running for president. This budding Theodore Roosevelt doesn't want an Alice on his hands, he keeps Merle on a tight leash. Even after she gets busted in a nightclub raid with her fun loving uncle Harry Davenport. When two of her maids go out on a double date with a pair of traveling rodeo cowboys, Merle goes along because the cowboys have a third and she hits the jackpot because the third is Gary Cooper. Of course Merle pretends to be a third maid. Anyone who saw even a couple of thirties screwball comedies knows exactly how this one is ending up. Director H.C. Potter borrowed rather liberally from Frank Capra, there are elements of Mister Deeds Goes to Town and It Happened One Night in the story. 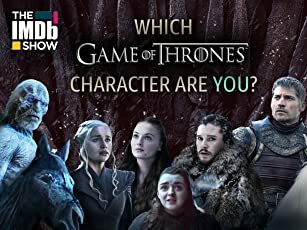 Still it's a pleasant enough piece of fluff and sure didn't do anyone's career any harm who was associated with it. Look for good typecast performances from Patsy Kelly and Mabel Todd as the maids and Walter Brennan and Fuzzy Knight as Cooper's rodeo buds. They all perform strictly to type.